Clean Comfortable Rooms with Flat Screen TV, Fridge, Microwave, Hair Dryer, Coffee Maker. Situated in Bellville, this hotel is within 6 mi (10 km) of Gorman Nature Center, Snow Trails, and Mid-Ohio Sports Car Course. Mansfield Art Center and Kingwood Center are also within 9 mi (15 km). Coffee/tea in a common area, laundry facilities, and a 24-hour front desk are available at this hotel. Free continental breakfast, free WiFi in public areas, and free self parking are also provided. Additionally, a library and a picnic area are onsite. All 37 rooms provide conveniences like refrigerators and microwaves, plus free WiFi and plasma TVs with cable channels. Guests will also find coffee makers, free long-distance calls, and free local calls. Activities : Of the many things to do in Ohio, the Bellville area of North Central Ohio offers visitors and residents the most diversity. The Clearfork River, which meanders through the landscape, provides opportunities for canoeing, kayaking, and tubing. For the fishing enthusiast, the annually stocked river is the premier brown trout fishery in the northern half of Ohio. Attractions : Walk the same halls as history's most infamous prisoners. Immerse yourself into the foundation that formed The Shawshank Redemption. Whether you're hunting for the paranormal or simply looking to tour the beautiful architecture, you can find it here at The Ohio State Reformatory. Dining : From lighter fare like turkey burgers to creamed chicken over biscuits to our Amish Country Sampler, enjoy simple country classics at our table or yours. Save room for a slice of fruit or cream pie, bread pudding or other homemade dessert.There's always something sweet and delicious coming from the ovens at Der Dutchman Bakery. From fresh lemon bars to German Chocolate pie, you can taste the tradition in every bite. Golf : With breathtaking views from every hole on the course, Deer Ridge will challenge you to use every club in your bag. Many of the holes are tree-lined, with large elevation changes and challenging pin positions. You will make great use of our new Golf Carts with built-in GPS yardage systems! Whether it's your first time ever golfing, or if you've been playing for years, Deer Ridge is an incredibly fun challenge for everyone! Government : Council Members serve four-year staggered term. Two council members are elected by the voters the same year as the mayor for a four-term and four council members are elected for four year terms two years after a mayoral election. There are a total of six council members. Hospitals : Kindred provides aggressive, specialized care to patients who need extended hospital stays. Our patients have serious medical conditions, often many at the same time, requiring a coordinated, specialized approach, directed by physicians, to meet their daily medical needs. Shopping : After your meal at Der Dutchman, take a trip upstairs to browse the delightful nooks of Carlisle Gifts. You'll find an array specially selected items for friends, family and home. University : Nestled among 640 acres of scenic woodlands, The Ohio State University at Mansfield has become a destination of choice for aspiring Buckeyes throughout Northeast Ohio. Affordability, location, excellence in teaching, small class sizes and opportunities for research and internships draw students. The Buckeye experience entices you to stay! Welcome to our great hotel in Bellville Ohio with affordable rates and cheap budget discount lodging. Mid Ohio Inn welcomes you to our budget hotel in Bellville Ohio. Mid Ohio Inn will provide you excellent customer service with great amenities in comparison to all Hotels and Motels in Bellville Ohio. Please visit us on your next stay in Bellville Ohio and let us provide you with 4 star hispoitality for 2 to 3 star budget rates. Mid Ohio Inn has been providing lodging and accommodations in Bellville Ohio for sevral years and looks forward to providing our valued customer and business traveler with the best service in Bellville Ohio for Hotelsand Motels in our local area. 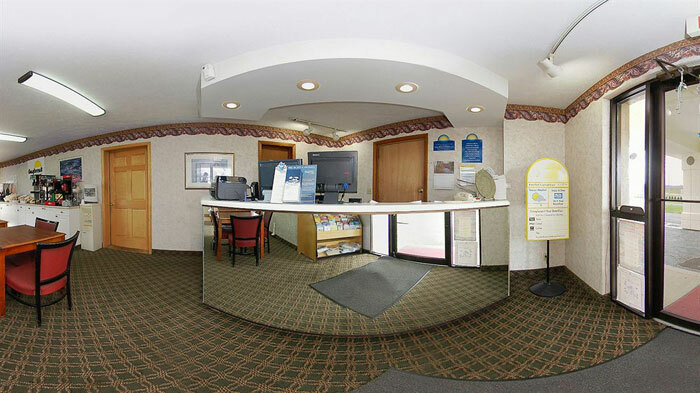 Formers Days Inn Hotel in Bellville Mansfield Hotels Motels Ohio.